WASHINGTON — Despite a stalemate in Congress that appears to have shelved action on the Yucca Mountain nuclear waste project for the year, Nevada Gov. 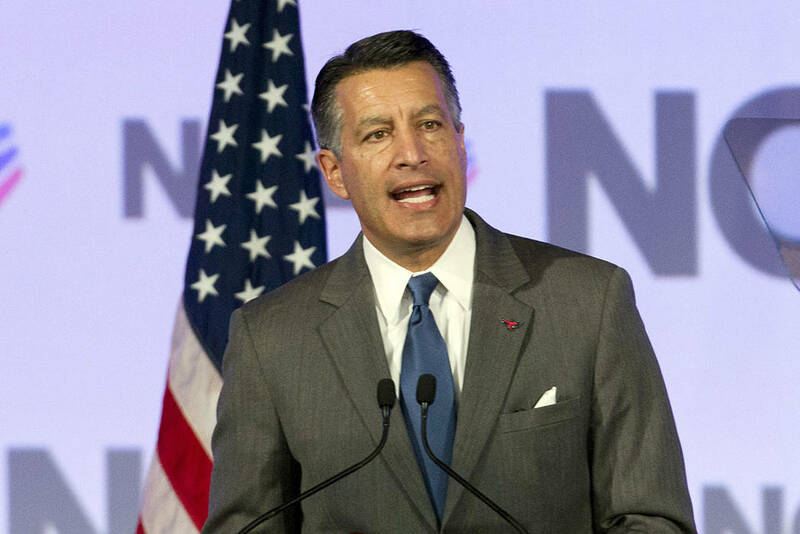 Brian Sandoval urged state officials to be prepared and proactive and to take the battle to the federal government. “Let’s continue to slug ‘em in the stomach and pop ‘em between the eyes,” Sandoval said during a Board of Examiners meeting in Carson City on Tuesday. Sandoval, who has four months left in his term, pledged resources to the state’s leaders on the 30-member team assembled to fight the Department of Energy’s stalled license application before the Nuclear Regulatory Commission for a permit to build the Yucca Mountain nuclear waste repository. Sandoval said overwhelming House approval for a bill to streamline the licensing process, and Trump administration requests for funding for licensing hearings, make it likely Congress could move forward after the midterm election. The Board of Examiners approved state contracts, including a $150,000 extension for Marta Adams, a former Nevada chief deputy attorney general and an expert in federal water and public land issues who has been hired to serve on the team fighting the proposed license application. Nevada was active in legal challenges last year. In June, the New Orleans-based 5th Circuit Court of Appeals granted a motion by Nevada Attorney General Adam Laxalt to dismiss a lawsuit filed by Texas to force a licensing decision on Yucca Mountain. Texas argued the NRC failed to meet a 2012 deadline to rule on the license application. The licensing hearings were halted in 2011 when the Obama administration pulled funding for the process. Nevada claimed the Texas lawsuit to force a decision would deny the Silver State’s due process right to hearings, and the opportunity to challenge the license. The Nevada legal team also sought a recusal from NRC Commissioner David Wright on Yucca Mountain because of his previous work advocating for, and publicly endorsing, the site for permanent nuclear storage. Wright rejected the request, which could bring legal challenges by the state on any of his votes or NRC decisions involving Yucca Mountain. Robert Halstead, executive director of the governor’s Agency for Nuclear Projects, said the state has gone toe-to-toe with the Trump administration and the House over funding proposals and efforts to jump-start the licensing process. Halstead said he did not want to publicly disclose future litigation strategy but noted that the state was prepared to take action on three cases that have been in abeyance. Sandoval applauded the success and encouraged the state team to continue the battle. “We’re going to take the fight to them,” Sandoval said. Congress designated Yucca Mountain as the nation’s permanent nuclear waste storage site in 1987. The federal government has spent more than $15 billion to study the site. The Nevada location was expected to begin receiving nuclear waste from public power plants and the Navy in 1998, but legal challenges and political opposition have delayed movement on developing the site. Since, nuclear waste has piled up at power plants across the country, prompting safety concerns and a call for interim storage until a permanent storage site is available. 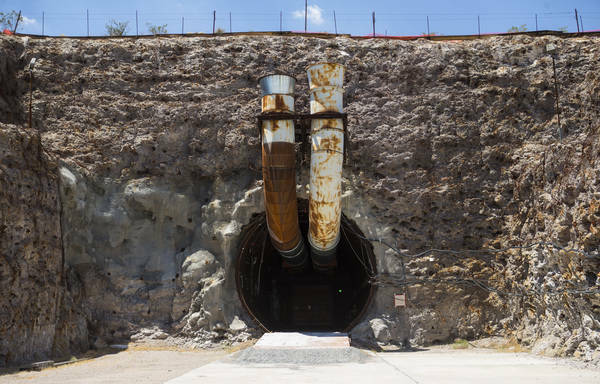 Although the entire Nevada congressional delegation is opposed to the project, the House voted 340-72 in May to streamline the licensing process and increase storage at Yucca Mountain from 70,000 to 110,000 metric tons of waste. The Senate has stripped Yucca Mountain provisions out of legislation, a move that benefits Sen. Dean Heller of Nevada, considered the most vulnerable GOP senator seeking re-election in 2018. But despite the stalemate between the House and Senate, Sandoval and Halstead said Tuesday in Carson City that they expect a Trump administration push after the election to jump-start the licensing process on Yucca Mountain. “We need to be prepared for another round in 2019,” Halstead said. Sandoval said he would continue the fight against Yucca Mountain in his final four months in office.